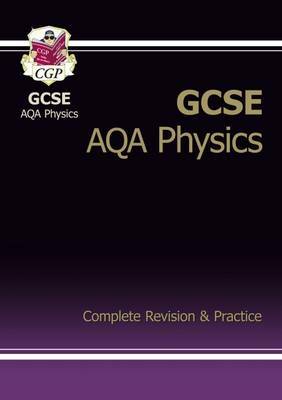 This book is full of clear revision notes, detailed diagrams, formulae and practice questions for GCSE Physics. It covers all the major Year 10 and 11 topics for the AQA Exam Board, including 'How Science Works', and it's packed with useful tips for doing well in your exams. Plus every few pages there's a quick warm-up test and some exam-style questions (answers are at the back). It's easy to read and revise from - everything's explained simply, in CGP's chatty, straightforward style.